Learn how to Ace Your Mascara Application in 9 steps. The simplest touch of mascara can open up your eyes and transform your face instantly. Black mascara is makeup’s little black dress – it can be worn by everyone. Unlike other makeup, great looking mascara has little to do with colour and alot to do with application. 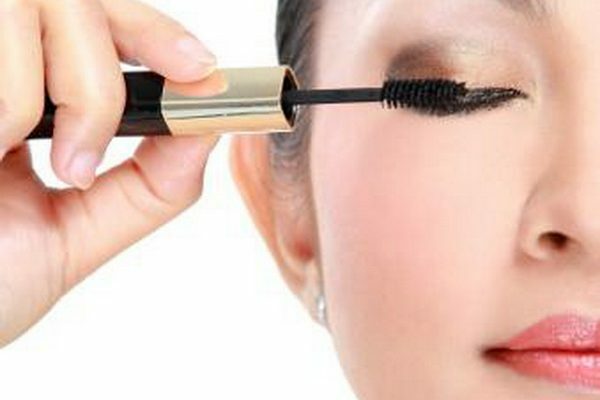 Here is a fool proof guide to perfect mascara application every time! Step 2. Tap the mascara in the palm of your hand to mix – never pump the mascara wand as this pushes air into the mascara wand causing it to dry out. Step 3. Remove the wand and drag the excess off as you exit, less is more, you can always apply a second coat rather than one thick goopy coat. Step 5. Pull the wand up and through lashes, wiggling as you go. This is key because it separates lashes giving the appearance of fuller longer lashes. Step 6. During application a good trick is to keep your mouth slightly open as it stops you blinking so much during the application. Step 7. Brush through with an old mascara brush or eyelash comb to remove any clumps. Allow a few minutes to dry before applying the second coat (if required). Step 8. Optional: close one eye and place the wand on top of your lashes at the base and then pull the mascara wand through to the tip of your lashes. Repeat on other eye. Step 9. Once dry you can apply a second coat if necessary. Bright Idea: Instead of throwing out your old mascara wands thoroughly cleanse them, wash and dry them then use them for an eyebrow comb or eyelash brush. Works a treat to comb mascara clumps from your lashes. And that’s a lot cheaper than buying one! Did you know? Mascara has a short life span. Since it is a creamy liquid and worn near the eye, bacteria can spread more easily, therefore it should be replaced every 3 months.